This week marks the final letter of this round. Z marks the end - the finale. 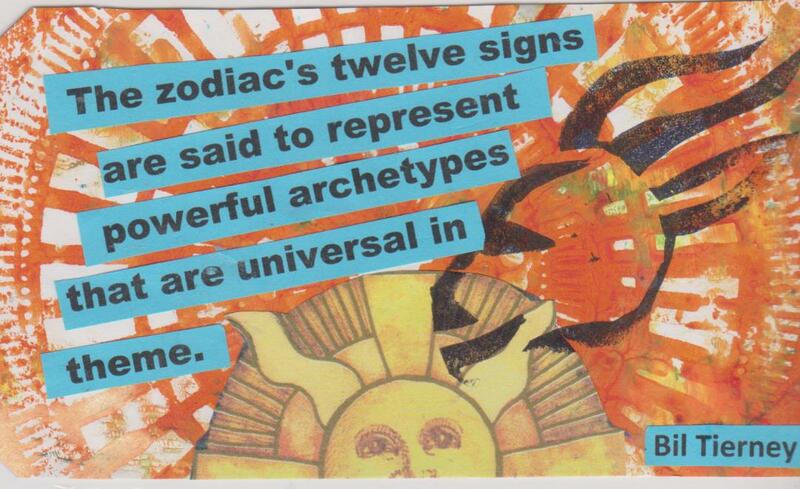 Z is for Zodiac - of which Capricorn, my sign, is one of the twelve Zodiac signs. Be sure to check here for what others around the world do for Z. Hope you join as we start a new round next week! Magic Resists is hosting The Resist Reading Challenge - to focus on history, politics and social change. Quite a worthwhile, and in this political climate, a very necessary one. I plan to read at least 5 books - but hope to read more. What is The Resist Reading Challenge? The Resist Reading Challenge is a year long challenge that encourages you to read books about history, politics, activism, and social change. I started it about a year ago and it ran only about a month or so but because there was very little interest I decided to end the challenge. Recent events made me realize I need to do this reading challenge for myself even if no one else participates. I was made painfully and publicly aware of how little I actually know about history. In all my time on Twitter I had never been more embarrassed. I knew I needed to do something about it. This reading challenge also serves another purpose. The truth is, like many in The Resistance, I spend far too much time on Twitter, reading the news online, or watching the news on television. I love reading and it gives me a much needed break from tweeting or binging the news. The best part about this reading challenge is it's not about escaping reality but learning about history and the reality that goes beyond the latest headlines. I'm also extremely frustrated with just tweeting. This reading challenge is a way to learn different types of activism other than being a keyboard warrior. I want to do more than just tweet and vote. I want to become more involved and hands on in Resist but I honestly know little about how to do that. I could do this challenge on my own, and I will if no one else participates, but doing reading challenges with others is always more fun. I also think reading about these different topics would benefit anyone in The Resistance. Or a topic. Even if they just read one book it can make a difference. Really! This is a low pressure challenge. Even if you only read one book this whole year I still want you to participate in The Resist Reading Challenge! 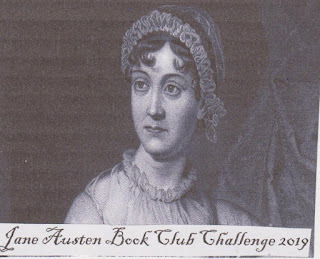 This challenge is about reading however much you want or or feel you can handle. 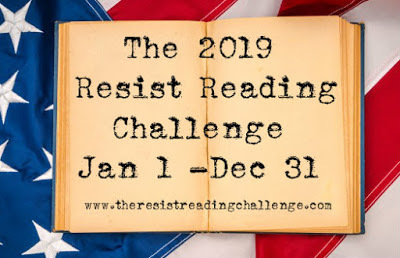 I do hope that you will join me in 2019 for The Resist Reading Challenge. 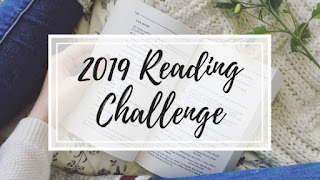 This reading challenge runs from Jan 1, 2019 - Dec 31, 2019. You do not need to consider yourself part of The Resistance to participate. You may sign up anytime during the challenge. I want you to choose your own reading goals. I won't be creating different levels.Read as little or as many books as you want. Even if you just read one book you can still participate! I will be creating an optional Bingo challenge. You do not have to do the Bingo challenge to participate. The link to the Bingo challenge can be found here. 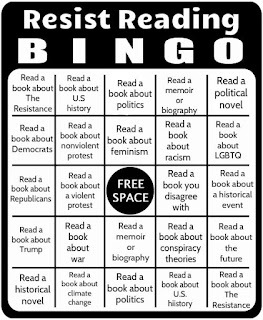 Along with the Bingo card I include a suggested reading list on many political topics. Books may be fiction or nonfiction but must be on the topics of politics, history, government, human rights, feminism, race issues, LGBTQ issues, political movements, memoirs, autobiographies, climate change, or activism. You are also encouraged to read books that challenge your views or are the opposite of your views. Books may be adult, young adult, or children's books. Books may count towards other reading challenges. May you be blessed this holiday season. but above all - peace. 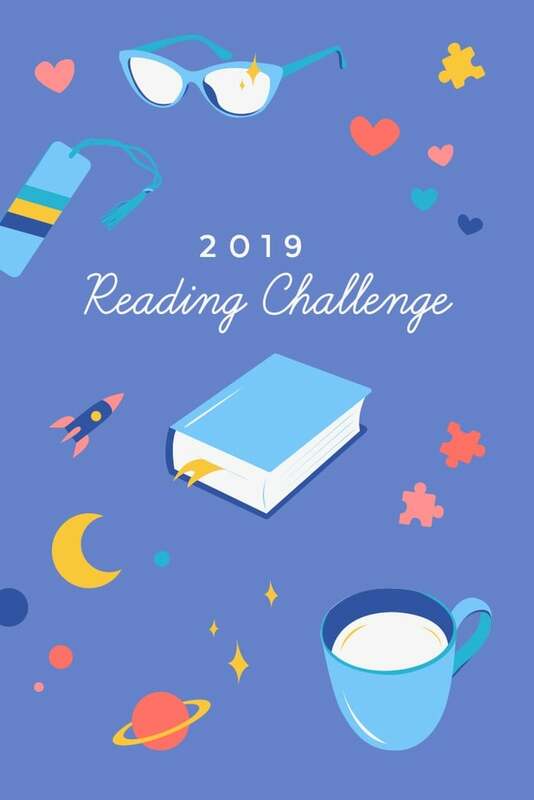 This new challenge is just what I need to spur me on to read those books that I keep returning to the library unread as I have too many I want to read and then run out of time. I keep a record of those that have been recommended and then I return. a Virtual Mount TBR Reading Challenge Books for all those folks with mile-long "wish-list" of TBRs who would like a chance to climb as well. The strategy and general set-up is the same--except you don't have to own the books. Heard about a great book from a friend, took note of the title, and then never got around to reading it? Saw a book online that you thought sounded intriguing but you keep putting off ordering it up from the library? You borrowed a book from somebody and need an extra push to read it and return it? This is the place for you! ~Once you choose your challenge level you are locked in for at least that many books. If you find that you are on a mountain-climbing roll and want to tackle a "taller" mountain, then you are welcome to upgrade. All books counted for lower mountains carry over towards the new peak. ~Challenge runs from January 1 to December 31, 2019. You may count any "currently reading" book that you begin prior to January 1--provided you have 50% or more of the book left to finish when January 1 rolled around. I will trust you on that. ~[UPDATE] Just to be clear: this challenge is only for books you do not own. They may be borrowed from the library, a friend, found on a free e-book site (like Project Gutenberg), or anywhere else that allows you to temporarily checkout the book. Also--unlike Mount TBR, there is no date limit on your wish list. If you see a book online that strikes your fancy after January 1 and you just have to go get it from the library, then it absolutely counts. ~Rereads may count if you have not read it within the last five years [my arbitrary pick for a limit]. ~You may count "Did Not Finish" books provided they meet your own standard for such things; you do not plan to ever finish it; and you move it off your mountain. For example, my personal rule (unless it's a very short book) is to give a book at leas 100 pages. If I decide I just can't finish it and won't ever, then off the mountain it goes and I count it as another step on the hike. ~Books may be used to count for other challenges as well. ~A blog and reviews are not necessary to participate. If you have a blog, then please post a challenge sign-up and link THAT post (not your home page) into the linky below. Non-bloggers please leave a comment declaring your challenge level--OR, if you are a member of Goodreads, I will offer this challenge there as well. Feel free to sign up HERE if that's where you want to participate. I just discovered this challenge at "Feeding Your Addiction" (where you can find the master list of challenges!). I like the idea of challenging myself to write more reviews. Now I may do 10 or so for WOW! Women on Writing, but I'd like to do more. So for this challenge, I plan to write a review a week, of books that I read for other challenges. That means 52 reviews for the year. you when you have to write a review? Well, last year I challenged myself to write 50 reviews. This year let’s make it 75! Now I want to challenge you and me to write those reviews! Set a goal of how many reviews you want to write in 2019. Post them on Goodreads, Amazon, Barnes & Noble or your own blog. 1. Don’t stress about whether or not you get through all 52 categories. The goal is simply to read more. (Whatever that looks like FOR YOU.) 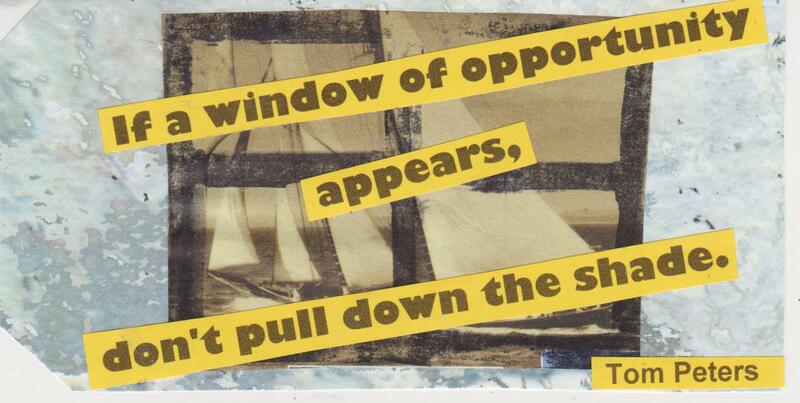 Set a goal for yourself and see if you can reach it. 2. Venture out of your usual section of the library/bookstore. As tempting as it may be to slot your regular reading into every category, use this as an opportunity to branch out a little too. These categories are a great way to uncover new authors and genres that you might not otherwise read. 3. Interpret the categories in whatever way you like. Feel free to use the fullness of your creativity and imagination as you pick books for each category. If you think a book fits a certain category, then it does! 4. Read books you like! This isn’t meant to be a stressful challenge. Due to our natural reading preferences some of the categories will be more difficult to complete than others — but just have fun with it! Do a little research and find books that not only fit that category but that you’ll also enjoy reading. I have thoroughly enjoyed the 2018 PopSugar Challenge. It was a challenge at times to find just the right book, but it forced me to expand my reading. So I am already looking forward to the 2019 version. This time I hope to do the advanced list as well. I did not participate much in the Goodreads' discussions but I hope to do that more next year. Here's the details and a link to the printable. Title that Contains "Salty," "Sweet," "Bitter" or "Spicy"
Although I prefer to hold a print book when I read, I do enjoy reading ebooks. I belong to Bookbub and Freebooksy and have a very full Kindle! But I have discovered some wonderful writers and read some great series. So I plan to join in with this challenge and just enjoy reading more ebooks. Here are the guidelines from Tina from "As Told by Tina"
For The Love Of EBooks starts on January 1st to December 31st and you can sign up any time. Re-Reading and crossovers for other challenges are encouraged. You don’t need to be a blogger to join. You can just share that you are joining on Twitter, Instagram, and Facebook. Just spread the word. If you are a blogger, I’d love for you to make a sign up post (you can include other challenges you’re joining too, I don’t mind), just to help spread the word. Use the hash tag #ForTheLoveOfBooks19 to keep up with everyone’s progress. I’ll have a link up open every last Wednesday of the month, so you can link up your reviews. (I’m not sure if I’ll have a prize yet due to my current financial situation). 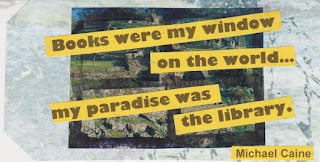 I love the library - my library card is used extensively. This challenge is perfect. I have been trying to buy less books, but read more. So between the library and my TBR shelves, I have a wide choice of reading material. For this challenge at "Angel's Guilty Pleasures", I aim to have a "Library Card on Fire" (reading 60+ books. Runs: January 1, 2019 – December 31, 2019. You can join any time. · Put a sign up post on your blog or (dedicate a Goodreads shelf or LibraryThing)and link it in the linky below. Make sure it’s public. 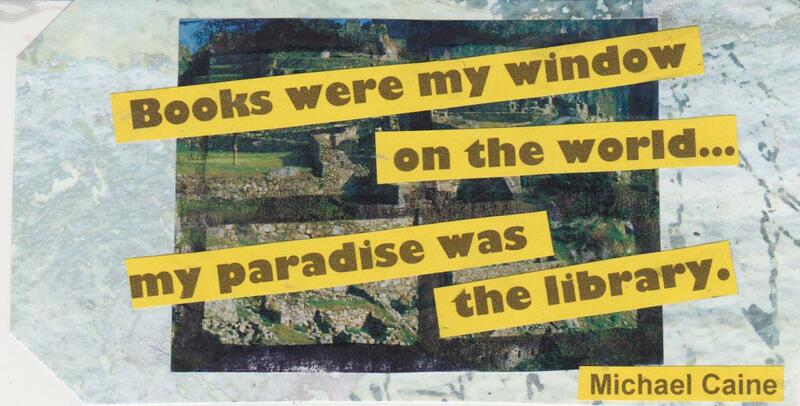 · The goal is to read at least twelve (12) books from the library, but you can read more. 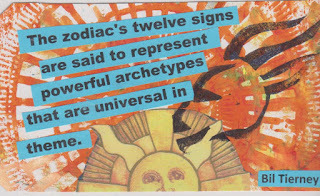 While twelve is the minimum, there is no maximum limit. See the different levels below and pick the one that works best for you. · Any format will work for this challenge (prints, ebooks, or audios); as long as you checked it out from the library, it counts. · Books can be any genre (fiction, nonfiction, romance, fantasy, mystery, thriller, horror, etc.). 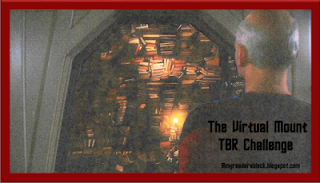 · Crossovers from other reading challenges are allowed, including re-reads. The goal is to support your local library and save money. · As an added bonus: I’m offering up a GIVEAWAY with this Challenge. Winner will be picked at the end of the year!! 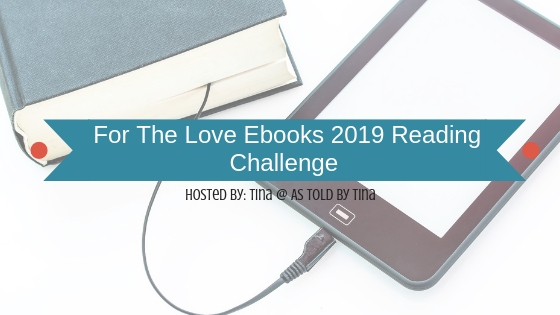 Their are a few freebie entries just for signing up to join the challenge and then the main entries throughout the year will be the direct links to your book reviews. You will have until Jan. 4th, 2020 to enter your reviews in the Linky/Rafflecopter. Go here to enter your reviews & the giveaway: 2019 Library Love Challenge Review Link-ups. · (Optional) Mid-Year Library Check In: This year (2019) I plan on posting a Mid-Year Library Check In Post sometime in June or July. This post is to showcase what you have done so far in the Library Love Challenge. I’ll be offering up a separate giveaway for the Mid-Year Library Check In. This week at ABC Wednesday, W gets the nod.